Compositions and methods for removing and/or reducing incidental soils from fabric articles, especially articles of clothing, linen and drapery, wherein the compositions provide improved cleaning of incidental soils, either with or without a subsequent wash process or other entire fabric care process are provided. The compositions and methods are safe for use on a wide range of fabric articles, even in the home. This application claims priority to U.S. Provisional Application Serial No. 60/338,193 filed Dec. 6, 2001. These and other aspects, features and advantages will become apparent to those of ordinary skill in the art from a reading of the following detailed description and the appended claims. All percentages, ratios and proportions herein are by weight, unless otherwise specified. All temperatures are in degrees Celsius (° C.) unless otherwise specified. All measurements are in SI units unless otherwise specified. All documents cited are in relevant part, incorporated herein by reference. Nonlimiting examples of alkylating reagents for use in alkylation include dialkylacetals, tetrabutylammonium hydroxide, BF 3, and pentafluorobenzyl bromide. D″ is R 6 2SiO2/2 wherein R6 is independently H, a monovalent hydrocarbon group or (CH2)1(C6H4)m(A)n-[(L)o-(A′)p-]q-(L′)rZ(G)s, wherein 1 is 1-10; m is 0 or 1; n is 0-5; o is 0-3; p is 0 or 1; q is 0-10; r is 0-3; s is 0-3; C6H4 is unsubstituted or substituted with a C1-10 alkyl or alkenyl; A and A′ are each independently a linking moiety representing an ester, a keto, an ether, a thio, an amido, an amino, a C1-4 fluoroalkyl, a C1-4 fluoroalkenyl, a branched or straight chained polyalkylene oxide, a phosphate, a sulfonyl, a sulfate, an ammonium, and mixtures thereof; L and L′are each independently a C1-30 straight chained or branched alkyl or alkenyl or an aryl which is unsubstituted or substituted; Z is a hydrogen, carboxylic acid, a hydroxy, a phosphato, a phosphate ester, a sulfonyl, a sulfonate, a sulfate, a branched or straight-chained polyalkylene oxide, a nitryl, a glyceryl, an aryl unsubstituted or substituted with a C1-30 alkyl or alkenyl, a carbohydrate unsubstituted or substituted with a C1-10 alkyl or alkenyl or an ammonium; G is an anion or cation such as H+, Na+, Li+, K+, NH4 +, Ca+2, Mg+2, Cl−, Br−, I−, mesylate or tosylate. Suitable amino-functional silicones for use in the compositions of the present invention have the formula described above for the surfactant component, with the exception that the D″ is R 5 2SiO2/2 wherein R5 is (CH2)f-(C6H4)zO—R6 where R6 is an amino-containing alkyl group. Compositions according to the present invention may further comprise a polar solvent. Non-limiting examples of polar solvents include: water, alcohols, glycols, polyglycols, ethers, carbonates, dibasic esters, ketones, other oxygenated solvents, and mixutures thereof. Further examples of alcohols include: C1-C126 alcohols, such as propanol, ethanol, isopropyl alcohol, etc. . . . , benzyl alcohol, and diols such as 1,2-hexanediol. The Dowanol series by Dow Chemical are examples of glycols and polyglycols useful in the present invention, such as Dowanol TPM, TPnP, DPnB, DPnP, TPnB, PPh, DPM, DPMA, DB, and others. Further examples include propylene glycol, butylene glycol, polybutylene glycol and more hydrophobic glycols. Examples of carbonate solvents are ethylene, propylene and butylene carbonantes such as those available under the Jeffsol tradename. Polar solvents for the present invention can be further identified through their dispersive (□ D), polar (□P) and hydrogen bonding (□H) Hansen solubility parameters. Preferred polar solvents or polar solvent mixtures have fractional polar (fP) and fractional hydrogen bonding (fH) values of fP>0.02 and fH>0.10, where fP=□P/(□D+□P+□H) and fH=□H/(□D+□P+□H), more preferably fP>0.05 and fH>0.20, and most preferably fP>0.07 and fH>0.30. Bleaches, especially oxygen bleaches, are another type of cleaning adjunct suitable for use in the compositions of the present invention. This is especially the case for the activated and catalyzed forms with such bleach activators as nonanoyloxybenzenesulfonate and/or any of its linear or branched higher or lower homologs, and/or tetraacetylethylenediamine and/or any of its derivatives or derivatives of phthaloylimidoperoxycaproic acid (PAP) or other imido- or amido-substituted bleach activators including the lactam types, or more generally any mixture of hydrophilic and/or hydrophobic bleach activators (especially acyl derivatives including those of the C 6-C16 substituted oxybenzenesulfonates). wherein R is C 1-4 alkyl and n is an integer of from 1 to 5. A particularly preferred peracid has the formula where R is CH2 and n is 5 i.e., phthaloylamino peroxy caproic acid (PAP) as described in U.S. Pat. Nos. 5,487,818, 5,310,934, 5,246,620, 5,279,757 and 5,132,431. PAP is available from Ausimont SpA under the tradename Euroco. d. optionally, at least one additional non-solvent cleaning adjunct. 2. A composition according to claim 1 wherein the soil modifying agent is selected from the group consisting of: silylating reagents, alkylating reagents, acylating reagents and mixtures thereof. 3. The composition according to claim 1 wherein said carrier solvent comprises a lipophilic fluid, typically present at from about 60% to about 99.95% by weight of the composition. 4. The composition according to claim 1 wherein said surfactant component is present in the composition at from about 0.01% to about 10% by weight of the composition. 5. The composition according to claim 4 wherein said surfactant component comprises a surfactant selected from the group consisting of siloxane-based surfactants, organosulfosuccinate surfactants, AES, LAS, Ca or NH4LAS, and mixtures thereof. iii) alkylethoxylated sulfate functional groups. 9. The composition according to claim 5 wherein said surfactant component comprises an organosulfosuccinate surfactant. 10. The composition according to claim 9 wherein said organosulfosuccinate surfactant comprises a dialkylsulfosuccinate wherein the alkyl chains are independently from about C6 to about C20. 11. The composition according to claim 1 wherein said non-solvent cleaning adjunct is chosen from the group consisting of builders, surfactants, emulsifying agents, enzymes, bleach activators, bleach catalysts, bleach boosters, bleaches, alkalinity sources, antibacterial agent, colorants, perfume, lime soap dispersants, odor control agents, odor neutralizers, polymeric dye transfer inhibiting agents, crystal growth inhibitors, photobleaches, heavy metal ion sequestrants, anti-tarnishing agents, anti-microbial agents, anti-oxidants, anti-redeposition agents, soil release polymers, electrolytes, pH modifiers, thickeners, abrasives, divalent ions, metal ion salts, enzyme stabilizers, corrosion inhibitors, diamines, suds stabilizing polymers, solvents, process aids, sizing agents, optical brighteners, hydrotropes, and mixtures thereof. 14. The composition of claim 11 wherein the non-solvent cleaning adjunct comprises a bleaching agent. 15. The composition of claim 11 wherein the non-solvent cleaning adjunct comprises an enzyme. 16. The composition of claim 3 wherein the lipophilic fluid is selected from the group consisting of: linear, branched and cyclic volatile silicones, and mixtures thereof. 17. The composition according to claim 16 wherein said lipophilic fluid comprises decamethylcyclopentasiloxane. 18. A method for removing and/or reducing incidental soils present on a fabric article in need of treatment comprising the step of contacting the soiled area of the fabric article with the composition according to claim 1, and optionally, placing the treated fabric article into a subsequent cleaning and/or refreshing cycle. 19. The method according to claim 18 wherein the subsequent cleaning and/or refreshing cycle comprises the step of contacting the fabric article with a lipophilic fluid. 20. The method according to claim 19 wherein water is present in the lipophilic fluid at from about 0% to about 10% by weight of the lipophilic fluid. 21. 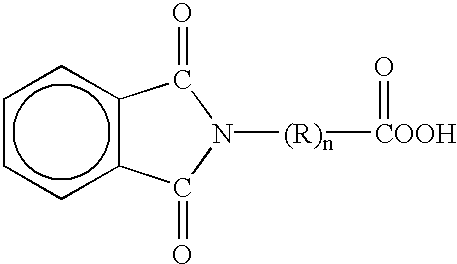 The composition according to claim 1 wherein the soil modifying agent is selected from the group consisting of: hexamethyldisilazane, trimethylchlorosilane, N,O-bis-(trimethylsilyl)acetamide), o-phthaldialdehyde,2-mercaptoethanol, HCOC6H4CN(Si(CH3)2O) n-X or HCOC6H4CH2NH(Si(CH3)2O)n-X, n=2-50, X=H, CH3, OH, NH2, and alkyl or PDMS derivatized o-phthaldialdehyde, Phenyl isothiocyanate or Alkyl isothiocyanate (C1-C8), Alkylene oxide, PDMS branched with alkylene oxide, e.g., X-(Si(CH3)2O)m-(SiO(CH3)((CH2)a-OCH2-CHOCH2)))-(Si(CH3)2O)n-X, m=1-10, n=1-10, a=1-5, x=H, CH3, OH, NH2, or CH2OCHCH2O(CH2)3Si(CH3)2O(Si(CH3)2O)nSi(CH3)2(CH2)30CH2CHOCH2, or CH3Si(CH3)2O(Si(CH3)2O)m(Si(CH3)(CH2CH2C6H90)0)nSi(CH3)2CH3, n=1-50, m=1-50, Epichlorohydrin, CNBr, Alkyl Aldehyde and NaCNBH3. ES2236250T3 (en) 2005-07-16 Method domestic laundry.